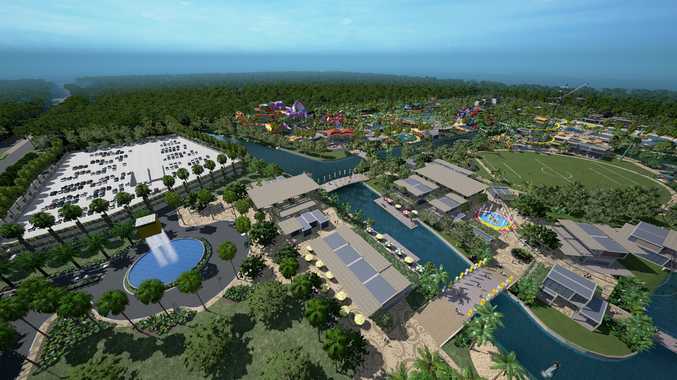 RESTAURANTS, a sports bar and pool and a 200-room "upscale hotel" will make up the second stage of the Coast's new $400 million water park. 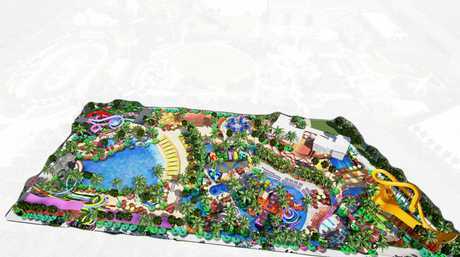 Sanad Capital gained Sunshine Coast Council approval in January for its new ACTVE Waterpark at Glenview. Bulk earthworks are set to begin on the first stage in the next few months. Sanad Capital CEO Bradley Sutherland said the first stage would include a state-of-the art waterpark, a great lawn for major events, concerts and community activities, an outdoor adventure park with activities including kayaking, bungee jumping, net climbing, flyboarding, segways and electric skateboard hire, stand-up paddle boarding and football. 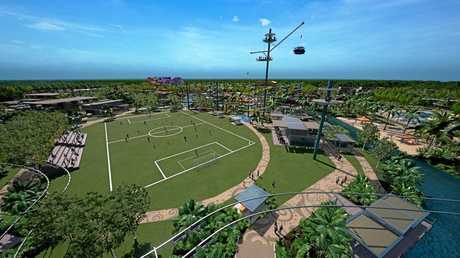 Fly over Sanad's Sunshine Coast Actve Park: FIRST look at the plans for a water park planned for Steve Irwin Way. Sanad is now preparing to submit the second phase of the project for council approval, with hospitality playing a key role. Mr Sutherland said the firm had aligned with hotel consultants MEREHA to work on the roll-out of a high-class hotel planned to open in 2020 on the site. An upscale hotel of about 200 rooms has been proposed for the north-west sector of the site, next to the entrance. Mr Sutherland said the hotel would be made up of restaurants, a sports bar and lounge, pool bar and grill, fitness and leisure facilities as well as clubs for kids and teenagers. A large-scale convention and meeting space is also planned, catering to business travellers and other groups. "Hotel accommodation is a vital tool in the Sunshine Coast's growing tourism arsenal, and we aim to provide top notch services and amenities to help in attracting tourists to visit and stay longer in the area," Mr Sutherland said. "From a design perspective, the hotel is envisioned to provide a seamless integration with the overall development and yet have its own identity to cater for both leisure and business guests." A statement released by Sanad said studies of the Coast's hospitality market had shown strong levels of annual occupancy, supporting the development of the hotel. Meanwhile project planners have requested tweaks to some of the conditions of approval for stage one for the 6000sq m retail, food and beverage space that will be developed in the first phase. The original conditions sought to restrict the inclusion of major fast food outlets, discount department stores and factory outlets, to ensure it didn't take away from existing shopping centres across the region. Planners have sought a tweak to the conditions to allow fast food outlets, corner stores and others up to 500sq m in gross floor area to be established the southern retail precinct dubbed The Cove. They are also seeking a change to enable up to 1000sq m of gross floor area for factory outlets to enable sporting, active, leisure and lifestyle goods and products more tailored to the activities on offer at the park to be established on the site. The development will be built on the 25ha Glenview, with the third stage also to be submitted to the council this year. Mr Sutherland said the remaining stages would include an action sports precinct for skateboarding, BMX, parkour as well as the 'Wave Reservoir'.